Be on trend with your fabulous new pair of Adam Lippes™ Stretch Cady Pleat Front Culottes. Front hook-and-bar with zip closure. Shell: 67% viscose, 31% acetate, 2% elastane. Product measurements were taken using size 2, inseam 21.5. Please note that measurements may vary by size. 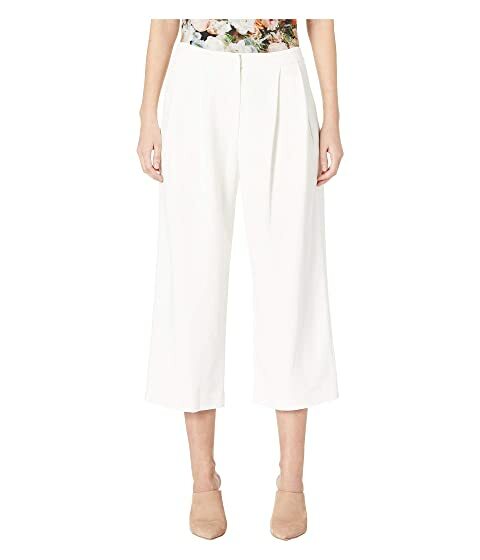 We can't currently find any similar items for the Stretch Cady Pleat Front Culotte by Adam Lippes. Sorry!